Due to the high volume of will call pick up and walk up ticket sales, the phone lines at the box office will be turned off on the day of an event no later than door time. A message answering some common ticketing questions regarding that day’s event(s) will be available. Will Call tickets are located inside the box office. If you have Will Call tickets, you may pick them up anytime during our normal business hours, including on the day of the event. You must bring a picture ID with you, and it is recommended that you bring your order number and the credit card used to purchase your tickets. The box office does not hold tickets for patrons waiting for the rest of their party to arrive. Additionally, we are unable to take tickets back or resell to other patrons. 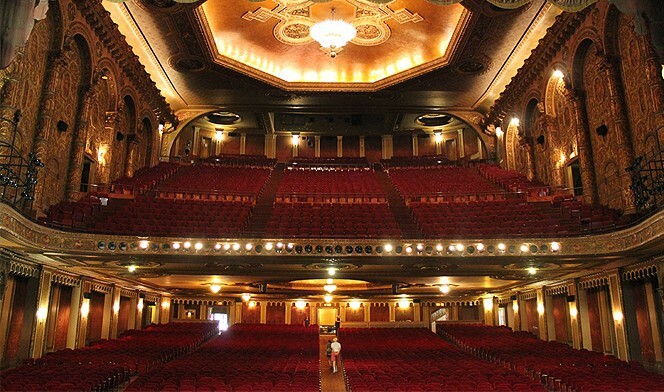 For some events at the Landmark Theatre, promoters may decide to set up special online pre-sales. During an online pre-sale, tickets are for sale within a specified amount of time prior to the sale of tickets to the general public. Please note that while an online pre-sale may afford you the opportunity to purchase tickets before the public on-sale date, there is no guarantee that you will be able to purchase tickets since there is a limited supply. In order to participate in most online pre-sales, a special code is required. Landmark Theatre members receive access to most pre-sale codes. To find out more about becoming a member, click here. Please contact the Box Office at (315) 475-7979, option 3, to inquire if group pricing is available for a particular event. Group rates can vary by performance. If you purchase tickets from a non-authorized person or outlet, you risk purchasing a lost, stolen or fake ticket that is not valid for admittance, regardless of the event. Only valid tickets will scan to authorize entry for an event. Lost or stolen tickets may be deactivated and thus will not be valid for entry. Anyone who purchases tickets from a “scalper” or ticket broker does so at his/her own risk and in most cases is paying a premium. The Landmark Theatre is not responsible for replacing or refunding a ticket purchased through a third party broker. Valid ticket outlets include the M&T Box Office at the Landmark Theatre and Ticketmaster. All ticket prices are subject to change; all events are subject to change at any time. Keep up-to-date on what’s happening at the Landmark Theatre by visiting our event page, powered by CNY Arts!